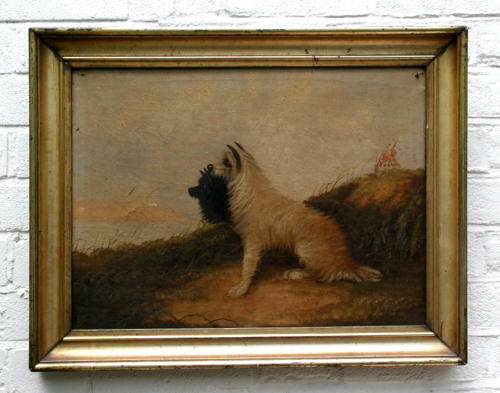 A charming 19th Century oil on canvas of two characterful Terriers, sitting on a sand dune looking out to sea. signature to bottom right hand corner, W.W???? ?